This is far more serious than I had originally determined, and will result in Trump's reshaping so much of America's judiciary, a warped legacy that will go on for decades, even if Trump resigned tomorrow....I hope to compile some other Senate commentaries on this urgent matter. What makes the nuclear option "nuclear" is that it violates the rules in order to change the rules. It should require a super-majority to change a rule, so using a mere majority to make it so a mere majority can prevail is not supposed to be permissible. In this case, McConnell is going nuclear to eliminate a problem that he invented. It was only because of McConnell's willingness to abuse the spirit of the rules that Harry Reid eventually succumbed to pressure to fight back in the only way he could. Many people warned that as soon as Reid took one step down that road, it would open the floodgates to more and more changes to eliminate the minority party's rights in the Senate. Others warned that the Republicans would make the same changes once they were in the same position, so it was foolish for Reid to hold off on the premise that he could preserve comity in the Senate. Both groups were correct. McConnell was intent on breaking the traditional Senate, and his guiding star is only to do what gives him an advantage in whatever set of circumstances he finds himself.This rule change isn't such a big deal in itself. It only speeds up the process of confirming people who are going to confirmed anyway. But it's galling that McConnell is willing to explain the change by arguing that "Since January 2017, for the first time in memory, a minority has exploited procedure to systematically obstruct a president from staffing up his administration. "A benevolent God would strike him dead for making a statement that egregiously self-serving and false. We can't take these kinds of encroachments for granted, especially when Mitch is using the exact opposite of his tactics when a Democrat appointee was at stake during the last months of Obama's tenure (Merrick Garland). "Former Senate Majority Leader Harry Reid moved toward using the nuclear option reluctantly, haltingly, and with baby steps that provided plenty of warning. After Barack Obama was elected president but before he was sworn in in January 2009, Senate Minority Leader Mitch McConnell adopted a strategy of total obstruction, declaring his number one priority to be making sure Obama was a one-term president. 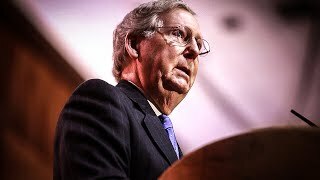 Throughout 2009 and 2010, McConnell used every available parliamentary trick to slow down the legislative agenda and the confirmation of Obama's nominees. He was particularly aggressive on nominees for the federal courts. After the shellacking the Democrats took in the 2010 midterms, their majority in the Senate was markedly reduced and McConnell's ability to obstruct was correspondingly enhanced. 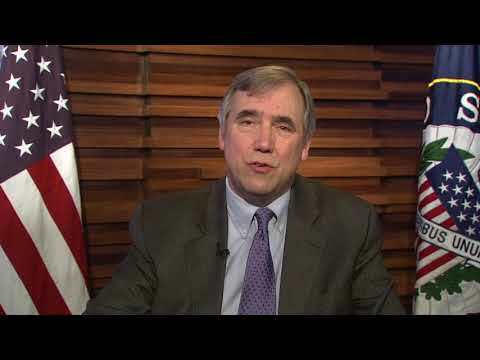 In response, in 2011, Democratic Senators Jeff Merkley of Oregon and Tom Udall of New Mexico began advocating that Reid use the nuclear option (which they called "the constitutional option") in order to enact reforms to the filibuster rules. Although Reid opposed their plans, by October 2011, the pressure had grown substantial enough that Reid pushed through a rule change with 51-48 vote. The impact of the change was modest because it only eliminated a post-cloture delaying motion and it only applied to the 2013-14 Congress, but he had changed the rules without a supermajority, thereby technically invoking the nuclear option. In context, however, he had gone nuclear in order to avoid going nuclear.After President Obama disappointed McConnell by winning reelection in 2012, the Democrats began signaling that they would invoke the nuclear option in January 2013. The threat was credible enough to send many Republican senators scurrying into negotiation mode. In bipartisan votes of 78 to 16 and 86 to 9, the Senate rules were changed to curtail "the minority party's right to filibuster a bill as long as each party has been permitted to present at least two amendments to the bill." Reid acknowledged that the reforms didn't go as far as many wanted them to, but tried to sound optimistic, "It is my hope that these reforms will help restore a spirit of comity and bipartisan cooperation." Although Reid opposed their plans, by October 2011, the pressure had grown substantial enough that Reid pushed through a rule change with 51-48 vote. The impact of the change was modest because it only eliminated a post-cloture delaying motion and it only applied to the 2013-14 Congress, but he had changed the rules without a super-majority, thereby technically invoking the nuclear option. The threat was credible enough to send many Republican senators scurrying into negotiation mode. In bipartisan votes of 78 to 16 and 86 to 9, the Senate rules were changed to curtail "the minority party's right to filibuster a bill as long as each party has been permitted to present at least two amendments to the bill." Reid acknowledged that the reforms didn't go as far as many wanted them to, but tried to sound optimistic, "It is my hope that these reforms will help restore a spirit of comity and bipartisan cooperation."